Earn More, Work Less, and Worry Never! Rental property management software and mobile apps lets you take control and manage your properties on channels like Airbnb, VRBO, HomeAway, Booking.com, Expedia and more. YES, you can manage short-term vacation rentals & local hosting without a professional management company. The Property Management By Owner software was designed to bring back the vacation rental by owner concept, giving you real control of your vacation rental business. 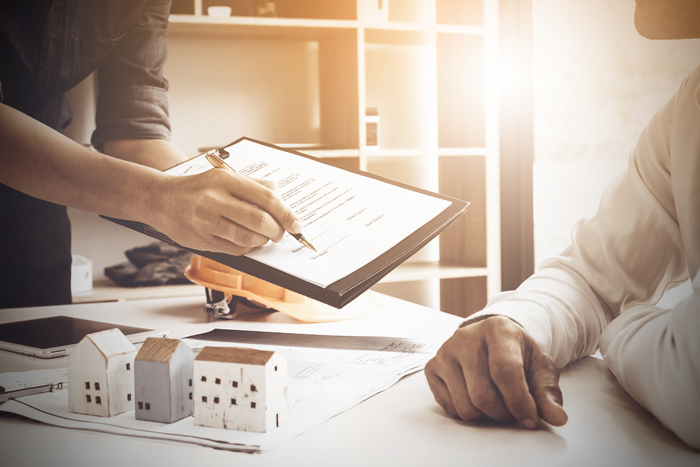 Software, Tools, Visibility, Channel Distribution and years of Vacation Rental Management Expertise – everything the individual property owner needs for success and increased profits! Ready to earn more, work less, and never worry? Get started with Property Management By Owner. Your vacation rental property management software solution. List your home and take advantage of our multi-channel listing distribution. Manage all of your properties using one simple-to-use mobile application. Communicating with your guests before, during, and after their stay increases ratings. Peace of mind with a quality control system for monitoring vacant and ready status . 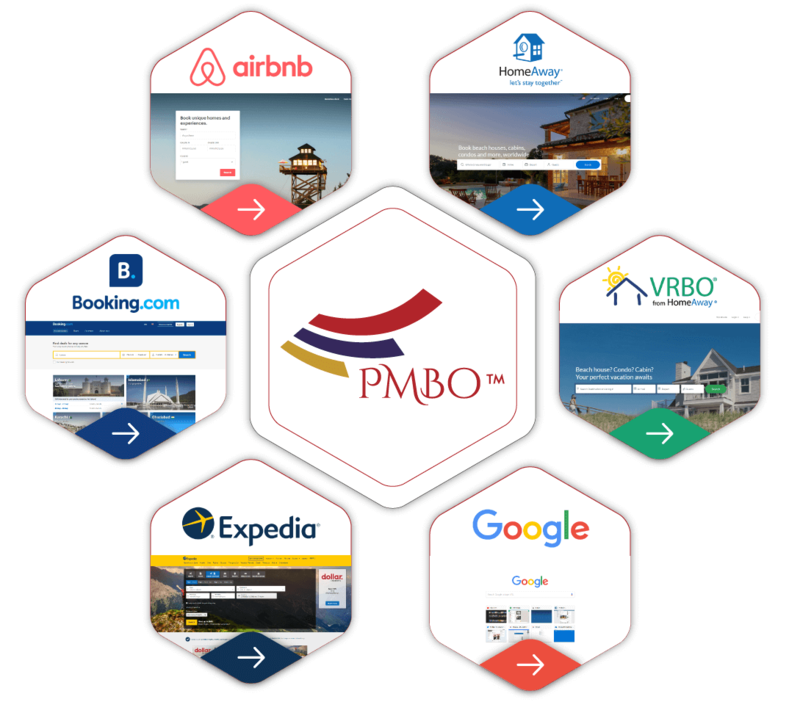 In addition to listing and promoting your home to our extensive database of travelers, PMBO also automatically integrates with major marketing channels and top travel websites. You can manage your rental property across the most popular channels like Airbnb, VRBO, HomeAway, Booking.com, Expedia and more. Quickly enter your vacation homes content, rates, availability, pictures and more on the mobile app. There's no need to manually update multiple channels. Eliminate double or missed bookings with a single management platform. Availability & rates are automatically synced across all desired management channels. Content syndication allows your property descriptions, amenities, pictures, and more to be synced across all channels; improving your listing, ranking, views, and bookings! Net pricing allows automatic adjustment of rates to cover channel/OTA/commission fees on each channel so you receive your net price per night as set by you on our software. Manage your reservations and access your booking history. Save money and spend less time on management with our centralized command center. Low commission rates starting at just 10% reservation fee, reduced yearly until you reach just 7% commission. We value you and want to partner long term to help you earn more, work less and worry never! Manage all your properties and channels through a single, centralized dashboard. Automatically sync data across 30+ premium listing sites and manage it all through one unified calendar, inbox, and reservation system. We Eliminated Guest Booking Fees! Guests save 20% or more by choosing our Vacation Travel By Owner (VTBO.com) site and booking directly with us. Unlike other rental management sites today, VTBO does NOT charge a separate guest booking fee. Guests are catching on to changes in the real estate marketplace and looking for actual BY OWNER options where rental home pricing and bookings don't have additional costs. VTBO is the answer, and your inclusion in our booking site is automatic and FREE. All properties are automatically included in our online booking engine and marketing site VTBO (Vacation Travel By Owner). VTBO specializes in vacation rentals direct per owner. The marketplace has changed a lot in the past few years. Most large By Owner sites are predominantly large property management companies and travel agencies. The By Owner marketplace has all but disappeared. PMBO is reviving the true By Owner experience, letting property owners manage every aspect of their rentals. Each property has defaulted automatic inquiry responses allowing immediate replies to questions from our Vacation Travel By Owner (VTBO) booking engine as well as our channel partners. Improve your rankings and search order results across all channels with responsiveness! Our owners are our most important customers and we’ve put you first with owner-friendly policies like no term commitments, no limits on personal stays and an Owner Loyalty Program allowing you to decrease your costs year after year. Integrate with Housekeeping By Owner to assign the housekeeper or service person of your choice to your property. Define work, see current housekeeping tasks and have complete access to the current status for inspections, uploading pictures of the home on guest departure. Record previous guest ratings, report damages, request maintenance, and supervisor inspections. Integrated with the Mobile App, quickly and easily see the current housekeeping status related to your upcoming reservations. 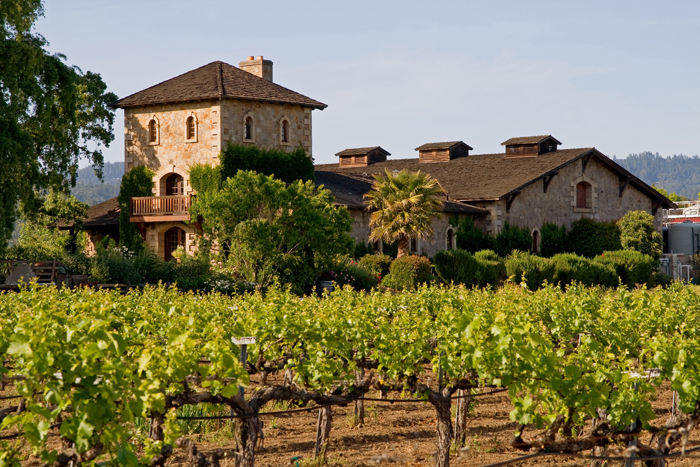 Managing your vacation rental property has never been easier. With the PMBO Mobile app, use your cell phone to view today’s check-ins, today’s check-outs, tomorrow’s check-ins, tomorrow’s check-outs and a full list of all reservations. Communicate details quickly and easily with guests and build messages to send out via text for pre-arrival, check-in instructions, internet/Wi-Fi, property address, directions, check-out instructions, welcome and thank you messages, all defined in your back-office. PMBO sends out automated guest messages, including rental contracts, reservation confirmations, email reminders of upcoming stays, check-in instructions, an invitation to Local Host By Owner guest app, request for reviews and more – Ensuring you have professional and timely responses to your guests throughout the entire reservation process. Saving you time and money, we’ve integrated a guest concierge application to automate and impress your guests. 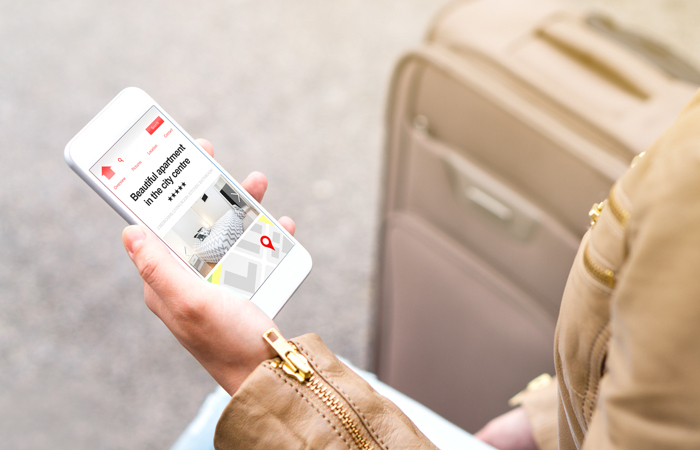 Property and reservation information is available at your guests' fingertips as well as local weather, events, restaurants and activities and an integrated communication thread. We’ve even built in mobile check-in, mobile check-out and frequently asked questions such as directions or Wi-Fi info. Increase your profits without eating into your free time. The cost of using the PMBO management software and app is significantly less than typical management companies who charge up to 55% in some areas. You'll save money and time, allowing you to afford and manage additional vacation homes and expand your real estate portfolio. With PMBO, You've Got This! We’ve got you covered. PMBO was designed to minimize property management times while maximizing profits with your vacation rental. We provide local hosting and rental management support to the individual property owner, allowing you to quickly and easily set up your vacation rental property to take advantage of the prosperous short-term rental market. We have the tools to get the the visibility and support you need, promoting your property on our direct per owner reservation site (VTBO), automating guest communication, distributing across the major industry vacation rental partners, handling guest interactions and logistics and support for helping with the guest related activities – cleaning, communication, follow up and reviews! As a property owner, you can do this. You do not need to give up 25, 30, 40 or even 50% plus of your rental homes income to a traditional property management company. 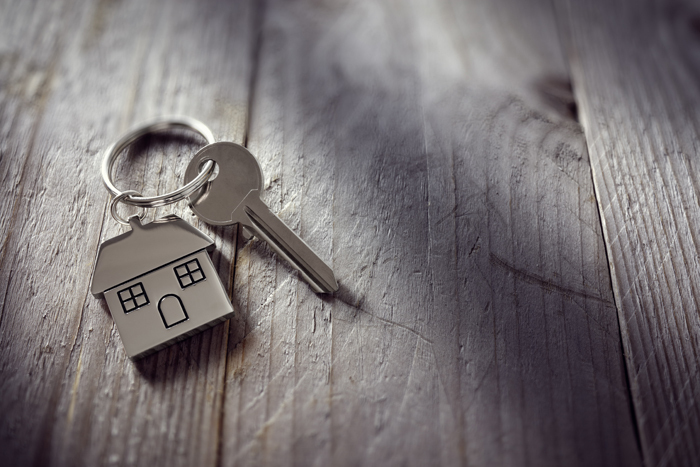 We understand the ever-changing short-term rental environment and make the adjustments necessary to keep up with these changes. We do this while providing visibility and communication tools – allowing you to do the things needed to be “virtually” on-site and in-person to handle property set-up, ensure appropriate cleaning, local guest communication (today’s traveler has a LOT of questions) and the occasional difficult renter. We started using PMBO years ago and have always been pleased. But now with the newest enhancements including channeling, the world wide exposure has brought us more clients than we ever thought possible. The platform is excellent at taking reservations and payments as well as providing all of the reports needed to track income and expenses, and file tax reports. Also PMBO does an awesome job of handling all of the back and forth communication with renters and managing maid service. We are so pleased that PMBO allowed us to stay in the rental game without the high cost of typical rental management organizations. Highly recommend! I’ve been working with PMBO for over a year to manage my condo in Breckenridge, CO. PMBO makes it very easy and affordable to own a vacation rental property, by taking care of all advertising of your property, schedule management, and housekeeping. They ensure your property gets maximum exposure through online rental searches. When I bought my Breckenridge condo, it was not previously used as an active rental property. PMBO far exceeded my expectations on rental activity and kept it booked straight through ski season and almost every day during the summer season. The PMBO site also makes it very easy to reconcile your distribution checks against the revenue that is coming in and the expenses that are being paid. The affordability of PMBO services is another major differentiator. Most other companies who provide this level of service charge a lot more and make your rental property a marginal investment. I highly recommend using PMBO for your rental property. Finding PMBO was a key deciding factor in purchasing a vacation rental property. PMBO is the reason I sleep at night. With PMBO, not only have our rents gone up (with low rental commissions, this is money direct in our pockets! ), there is such great ease and confidence that everything is being handled from the point of reservation all the way through guest check-out. PMBO generates bookings and maxes out our rental potential, and they take care of our renters, too! We are able to communicate easily with our renters and give them the confidence that they are coming to a place where they will be well taken care of. As an owner, I couldn’t be happier…or better rested. Vacation Rental Management Companies, are they worth it?